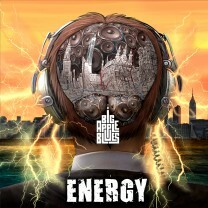 Energy is an all-live instrumental record that describes one day of living in New York City. The album opens with a wake-up alarm (‘Wake Up and Do Something’) and propels the listener from the morning shower to the grueling commute (‘I-286 Grind’) to a busy day in an NYC office. The day breaks up for a funeral of a friend (‘Remembering Annie’). Back in the office, the subdued mood builds to an after-work gathering (‘Happy Hour’) before the unwind with a nightcap. The album ends with the title track, ‘Energy’, featuring blistering solos from B3 wizard, Jim Alfredson, and guitarist Zach Zunis. Recorded live with all musicians in a single room at Smash Studios in New York City by recording engineer extraordinaire, Taaz Dietrich.